Water aerobics can have a great impact on anyone’s life and just think about how much fun it can be – so splash a little, move a lot, and enjoy your summer! Katie Finnegan is a student at Calhoun Community College, and is getting her Associates in May to be a Licensed Physical Therapists Assistant in May 2017. 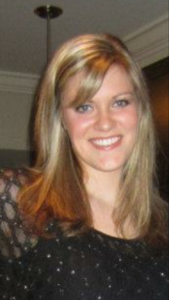 Katie attended the University of Alabama and graduated in 2014 with a bachelors in Exercise Science. She is currently finishing her last clinical round at the Patrick Rehab Center and is excited for graduation. She is from Hazel Green, Alabama.